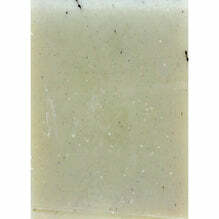 With a gentle, tropical spice from clove, bay leaf, vetiver and nutmeg, this soap is my new favourite! It has mouthwatering citrus notes and almost a cologne scent from the petitgrain and bergamot. Originally I created this soap for men but so many women love it, including me, that I really think it is suitable for everyone. We also make this in a giant 'Goliath' bar soap, which is in our gift section.